Brad has worked 13 years for America First Credit Union. He promoted rapidly to supervisory roles and in 2006 became the branch manager of the Pleasant Grove branch. In 2008, he accepted an opportunity to manage the Spanish Fork Branch. While managing the Spanish Fork Branch, he wanted to become involved in the community and giving back. He joined the Spanish Fork Rotary and has been a Rotarian since April 2008. In 2010, he promoted to the current position of Market Manager and oversees branch operations in Salem, Payson, Santaquin, and Nephi. 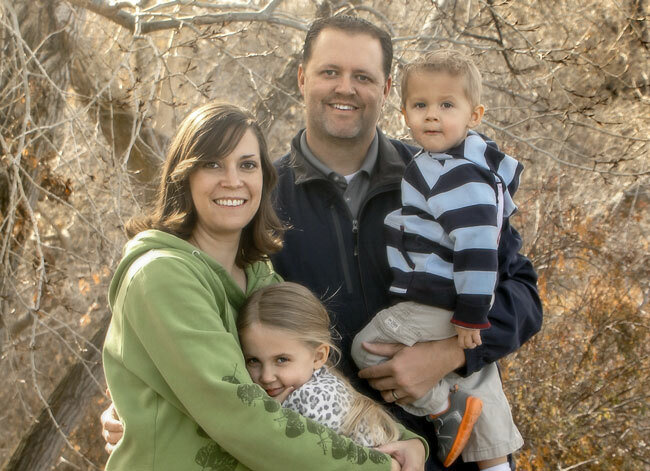 As a member of the Spanish Fork Rotary and avid golfer, Brad has been involved with the annual Spanish Fork Rotary and Chamber Celebrity Golf Scholarship Tournament. Proceeds from this event have benefited Spanish Fork area graduating seniors for the last 22 years. For the last two years, he has been a committee member responsible for brochures, sponsorships, and event organization. Brad attended and graduated from Utah Valley State College now Utah Valley University (UVU). While attending school, he met his wife Tamara. They currently reside in Spanish Fork with their two kids; Keily and Hunter. Cancer has impacted Brad’s family as it has most families. Brad lost his grandmother to cancer in 2012. His father was diagnosed with cancer in 2013 and underwent treatment. He is currently doing well and is a cancer survivor due to early detection. Brad met Guy & Josie in 2010 while volunteering at Spanish Oaks. The last five years, Brad has seen the positive impact Huntsman Cancer Institute provided in Josie’s quality of life and the support provided to Guy by this great organization. Brad along with other committee members are dedicated to establishing an annual Utah County golf event for the purpose of raising funds to benefit cancer research.